On the 14th of August MariFlex Transfer Services BV completed it’s first ever LPG Ship to Ship Transfer at Southwold (UK).With the help of the SEA BRAVO (Sea Contractors) MTS mobilised for a STS Transfer of LPG at Southwold between 2 vessels of almost identical size (180M x 30M). Asked by the client, MTS made a comprehensive Mooring and Transfer analysis for 20.000 tons of LPG (Liquified Petroleum Gas) and when the job was granted to MariFlex a complete STS spread was loaded onto Sea Bravo at MariFlex Premises at Vlaardingen to be delivered to the daughter vessel already on location at Southwold. Sea Bravo also hosted the 2 MariFlex STS specialists to accompany the STS kit. 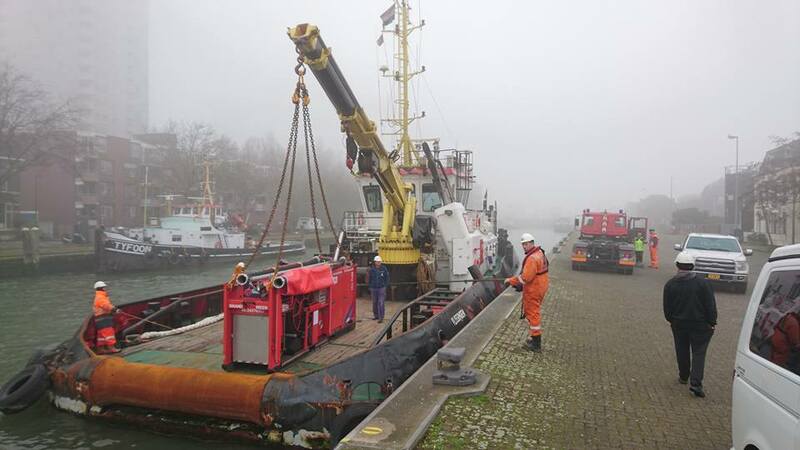 Within 10 hours the SEA BRAVO reached the Location and commenced installing the fenders alongside the vessel. Subsequently the POAC and STS Superintendent were transferred to the vessel to supervise the fendering and transfer of the special LPG hoses. Despite some initial delays, caused by weather conditions well outside the normal parameters, the MariFlex Team consisting of : Captain David Brant and President Ruud Cogels, managed to complete a safe mooring operation, LPG transfer and safe unmooring well within the weather window that was foreseen when things finally calmed down. 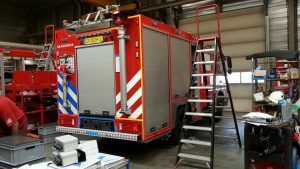 Upon completion all gear was reloaded onto SEA BRAVO for the return trip to Vlaardingen and redelivered to MariFlex HQ at Zevenmanshaven after a safe crossing. 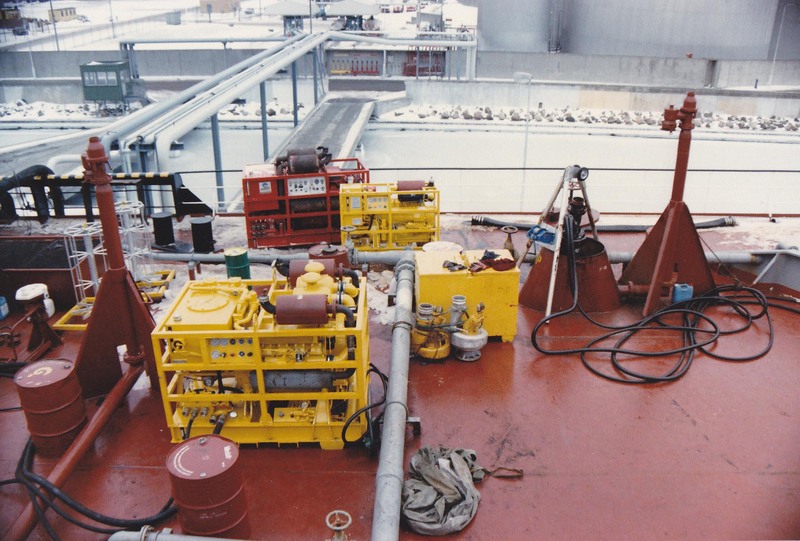 Liquid cargo trouble shooters that provide : In-situ solutions for emergencies or regular operations when handling liquid bulk cargoes in port or at sea. 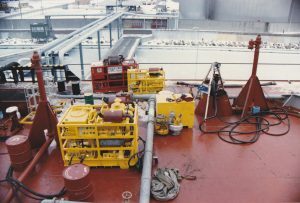 Highly trained specialists they are … Instantly available problem solvers capable of tackling any problem with handling liquid cargo on board ships and / or shore installations. They are experts in providing emergency solutions without losing the economic point of view, they will solve your problem in no-time at all, making use of their experience and the most extensive array of equipment known in the world today. Specific training in this field, specialised equipment and unrivalled experience make MariFlex Africa supervisors your reliable partners in the liquid cargo trade. They can deliver equipment for rental/sale, take on complete transfer operations or be used as an advisor. Eyeing the problems that occurred with liquid bulk cargo either at sea or in port, MariFlex Group has a long track record with : ship agents, owners, managers, charterers, oil companies, refineries, tankstorage installations, tankcleaners, salvors, port authorities and the like. The history of MariFlex goes back to 1980 when it was founded. The Group has since than developed from a subsidiary into a fully equipped turn-key marine service company. Presently a team of 20 trained supervisors are operational around the globe, tackling challenges offered by the customers. 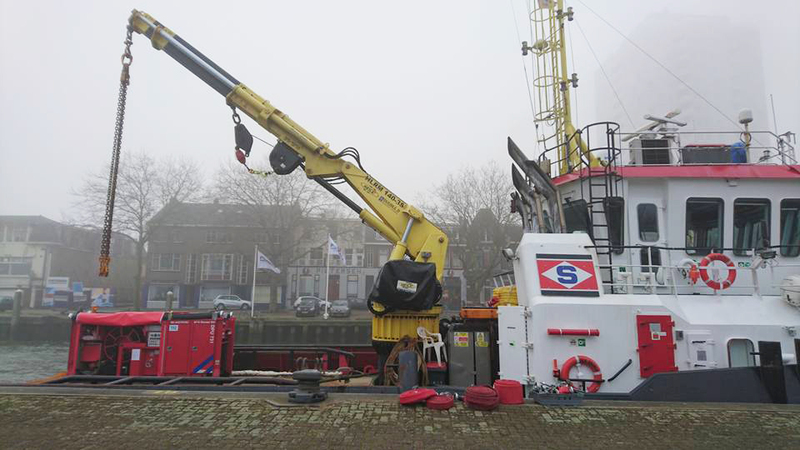 Thousands of situations have been handled by MPS since those early years and what began a pump rental company has now developed into a fully grown service company, a true one-stop-shop for the petrochemical and marine industry. 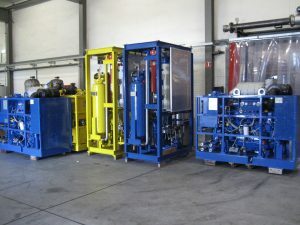 Our African branch MariFlex Africa established early 2015 is now active in de Western Cape with rental of hydraulic portable pump systems and complete STS Transfer operations at sea or in port The rental fleet now includes pumps for almost any product, diesel hydraulic powerpacks up to 600 litres / min, STS / cargo hoses of all sizes / sorts, “Yokohama” Fenders, mobile Inert gas installations, mobile steam generators, heat exchangers, submersible steam heaters, stainless steel particle filters down to 0.1 µ, tank cleaning and gas freeing equipment. The VCRS MVRU – 1100 tackles the ever present challenge to the petrochemical industry, especially tanker operators and barge operators, to comply with ‘green’ incentives and reduce emissions. 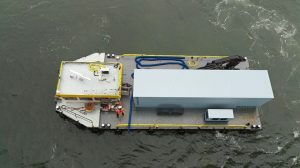 Especially trans-shipments between Sea-going vessels and Inland barges have been in the sights of Port authorities and Environmental agencies alike.Sea going ships are inerted to less than 8% oxygen in their tanks. Barges are often not inerted, making them incompatible with inerted ships when vapour balancing. During transfers between ships and noninerted barges the MVRU – 1100 serves to capture VOC’s from the barge and control vapour emissions. The MVRU – 1100 system handles up to 1100 Cu. M. per hour vapour, with a VOC removal efficiency of 99,9%. 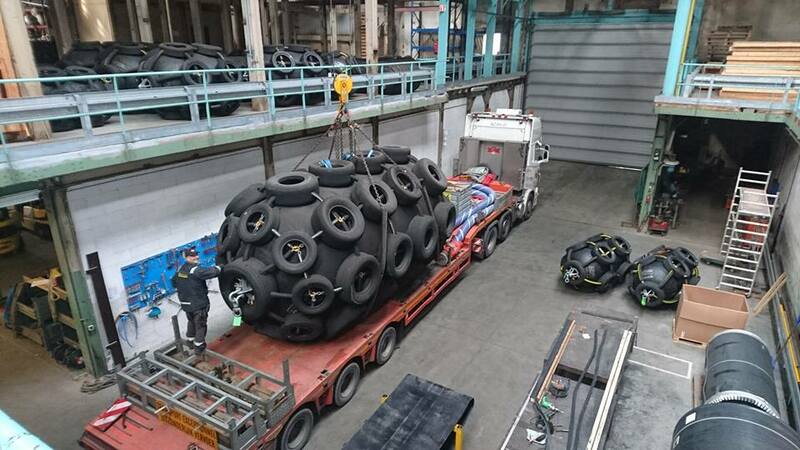 It is readily available from our warehouse in Rotterdam and can be transported by conventional means (it is the size and dimensions of a 20 feet TEU container). 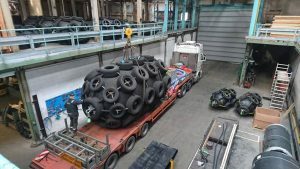 It can be prepared and mobilised in a matter of hours, making it an ideal partner for people planning trans-shipments in environmentally sensitive areas. 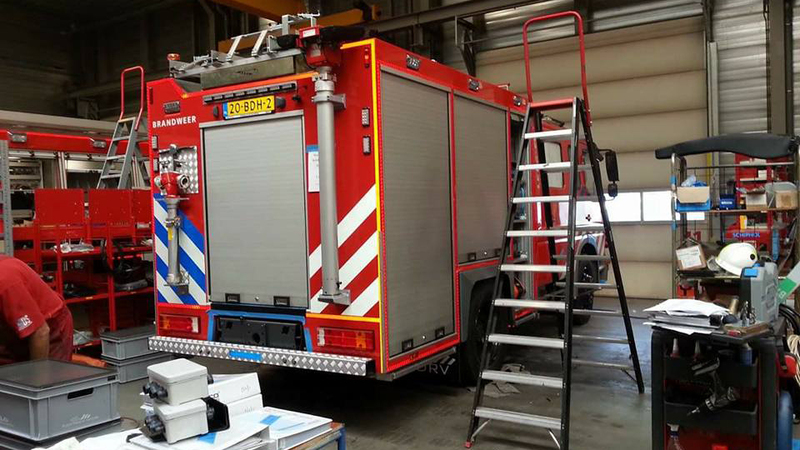 Entities in the Netherlands and outside are mimicking our products and services. With extreme prejudice some are even abusing the name MariFlex. However MariFlex has the strength, heritage, history and experience to deal with that in a positive manner. MariFlex has always strived to serve it’s customers in the professional way they are used from the Group and will continue to do so. 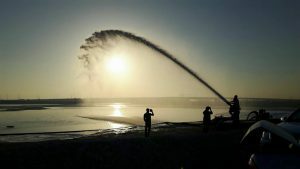 The New Mariflex program “In-progress” (Innovatieve Professionals for a green environment and sustainable services) Will take our level of services to an unprecendented high. Furthermore 2016 saw a record of 1150 orders for our operations team, resulting in a +20% increase in turnover and healthy profit. MariFlex Engineering is now increasing it’s share in various markets resulting in + for the 2016 balance and with that the company is back on track after some negative years. 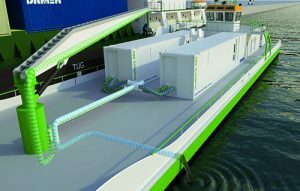 Rotterdam Barging Services Will acquire more vessels in 2017 and will actively penetrate the Ballast Water Management market. We have been and will always be your 24/7 reliable partner in Professional Liquid Cargo Handling. Over the top discharge by portable pumps of various grades of vegetable oils and molasses. Jobs that brings back memories of the “good old days” of single hull tankers that always had numerous challenges to face when discharging their tropical cargo in Europe during wintertime. The MariFlex N2G-500 Portable Nitrogen Generator is portable and can be air freighted. These units can be used as separately or paired together for double capacity.